This is totally wild: there is a new product on the market by Rust-Oleum called 'NeverWet'. It's an invisible spray paint-like compound that is intended to be used to repel water on outdoor products like wood, metal, fiberglass, etc that might be subject to damage or rust. Home Depot came up with a clever contest to get people to realize the full potential of this innovative stuff. 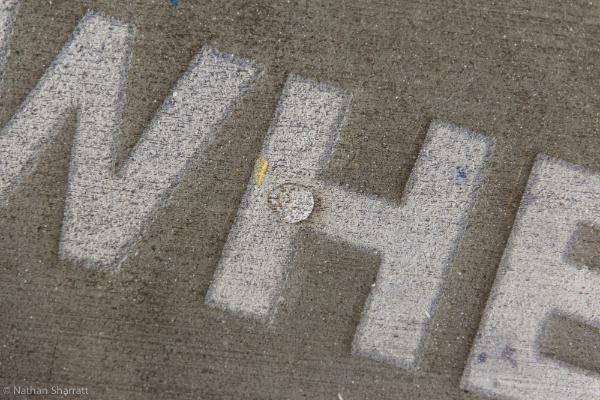 And some brilliant person thought to stencil it on their driveway/floor with the fun phrase above. 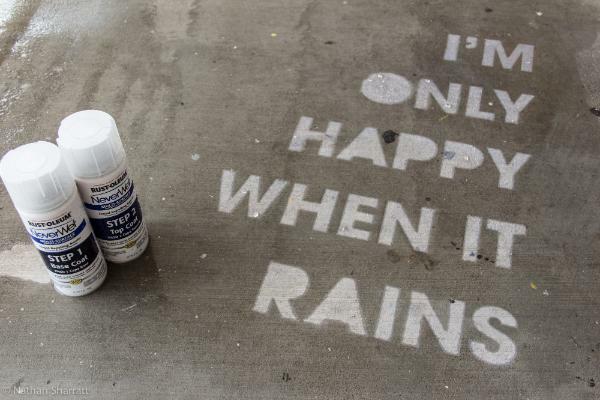 I think it would be awesome to stencil a reminder note just outside of your door like 'don't forget your umbrella!' 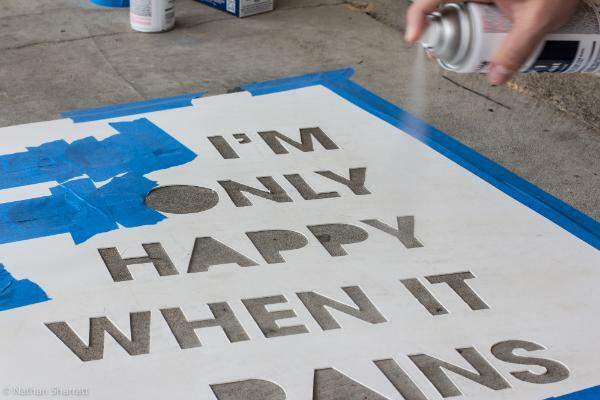 And since it the spray paint would only be legible when it rains, it would be like your own secret message. Sweet! Check out NeverWet here and some other stencils here.